Watch Dance in the Vampire Bund full episodes online English dub. 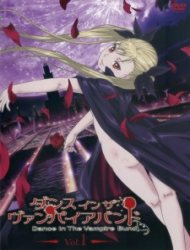 Synopsis: Dance in the Vampire Bund takes place in a world where vampires have recently come out of hiding, making their existence public knowledge to the world. Princess Mina Tepes, current ruler of all vampires, has used her family’s vast wealth to completely pay off the national debt of the Japanese government. In exchange, the government allowed her to build a special district called The Bund on a man-made island off of the coast of Tokyo, allowing the vampires of the world to finally have a place that they can call home. Knowing not all humans would be keen about the revelation that vampires are real, the Bund is connected to the mainland only by a single underground tunnel. No bridges exist above ground and the Bund has no ports. Despite these attempts at limited isolationism, tensions begin to run high between human and vampire civilizations. Some humans wish to destroy all vampires as monsters and attack the Bund. At the same time, vampire extremists who want superiority over humans instead of equality with them attempt to sabotage Mina’s plans for peace. Vampires are not the only supernatural creatures to be revealed to the world. Werewolves also exist and the werewolf guards, known as Beowulfs, serve as Mina’s bodyguards. With rookie Beowulf Akira Kaburagi Regendorf by her side, Mina works to maintain and build the peace between humanity and the supernatural. Can a common understanding and bond be shared between such different species when even peace between one race is nearly impossible?